Many qualified refugees are not able to practise their skilled professions in the UK because of licensing and training costs, so they end up in low-paid jobs. The UK labour market has a very high level of over-qualification and under-employment among refugees. 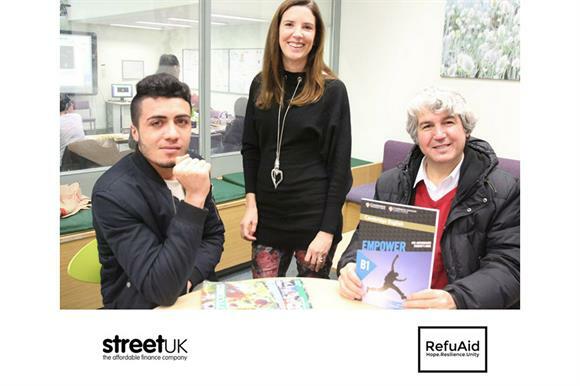 RefuAid and Street UK have come together to launch an interest-free loan scheme enabling refugees in the UK to return to their careers. The scheme is the first and only nationwide loan scheme for refugees. The loan scheme provides support to people with refugee status who have full rights to remain. It offers interest-free loans of up to £10,000 for internationally trained refugees to pay for UK accreditation, requalification or training, enabling them to return to employment in their prior professional fields. Repayment plans are worked out on an individual basis with the applicant. The offering is not only financial; all recipients receive case-work support, including access to a mentor network, specialist career guidance and liaison with employers and professional bodies. RefuAid is responsible for identifying clients, carrying out the loan appraisal and managing the non-technical aspects of the client relationship. Street UK provides access to RefuAid-branded portfolio management software, delivers the loan, ensures documentation compliance, provides jurisdictional experience for all loans and collects repayments via direct debit from loan recipients. After nine months the scheme has lent £116,623 to 26 applicants. There is a 100 per cent repayment rate. Some £3,803 has been received in repayments and already re-lent due to the huge demand. Early applicants have gained employment commensurate with their skills.